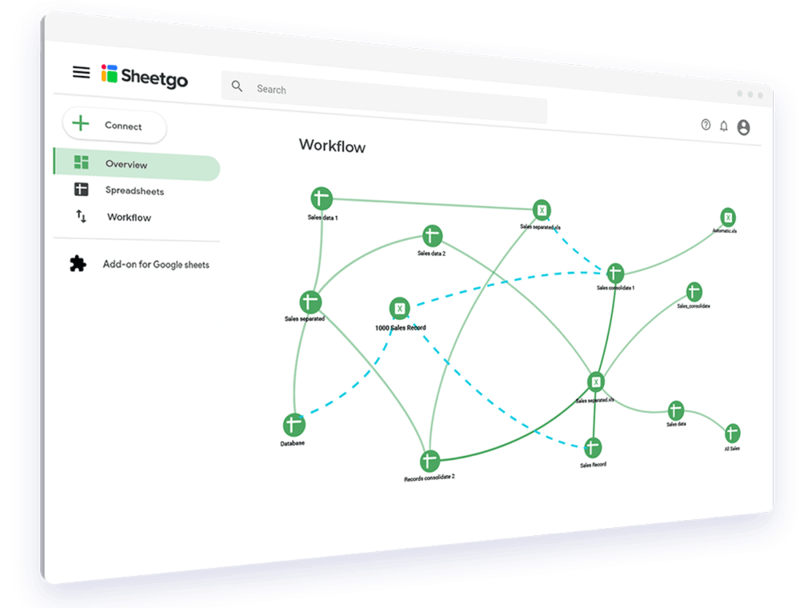 Sheetgo is a cloud-based software that allows you to create and automate workflows using the technology you already know. 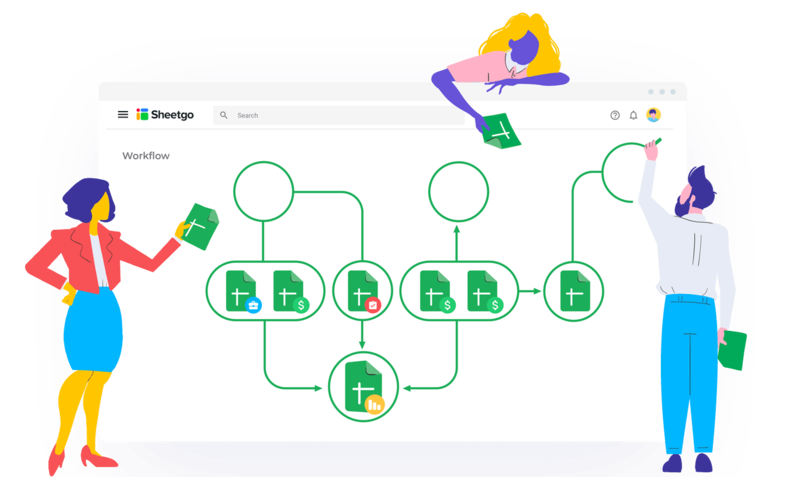 Create, share, and control your daily workflows with Sheetgo by connecting your spreadsheets. What spreadsheets will you connect next? Save time and efforts thanks to easily accessible, ready to use templates, tailored to your needs. Install this template to enable your sales reps to report lead status, track sales leads, and measure the performance of your sales team. Combine an inventory check-in and check-out spreadsheet to create a master inventory spreadsheet summarizing and updating your current stock. Manage your Income Statement by tracking the monthly income and outcome of your company. Create OKRs for everyone in your organization, organized by department and all centralized in a single database with a dashboard. Stay in control of your company cash flow managing your accounts payables and receivables. Control your finances using a single dashboard. Manage your student’s attendance and absence per class. The automated dashboard shows the most important students stats, all in one. Manage all of your Marketing KPIs per channel. Use the automated dashboard to keep track of all channels. Centralize your employees’ timesheets in a single place and measure the time spent by your team to execute their tasks and projects. 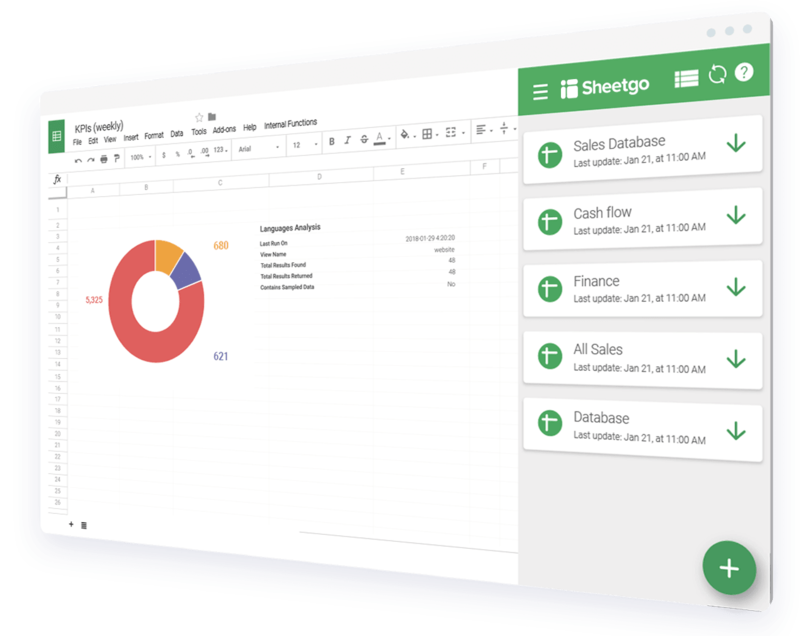 Create and manage complete workflows of spreadsheets. Invite your colleagues to collaborate with your spreadsheet based system. Have it all in one place for better management. All company systems controlled! Create, edit, delete and update connections straight from inside your Google Sheets files. It shows all connections of your opened spreadsheet and you can see in which workflow each connection is part of.